New Year, New You, right? Everyone talks about making New Years resolutions like losing weight, working out more, meditating, etc. But, you can also have other resolutions or wishes that will help you to feel better about yourself! Are you stuck with the same skin woes year after year? Maybe you’ve tried different products and just can’t seem to achieve that clear skin you strive for. Many people do not even realize that their everyday routines or habits can be attributing to these skin concerns. By making a few simple changes and listening to your body, 2019 can be your best skin year yet. These 10 tips are sure to jumpstart your skin routine and leave you glowing this year. Good skin starts from within, and the key to a glowing complexion is hydration. Your skin becomes so dry from external factors, so if you do your part by drinking water, it will already begin to look better. 2. Always Remember to Use SPF. I finally understand why my parents were so strict with me about sunscreen when I was growing up. Now I never leave the house without an SPF on under my moisturizer. It’s such a simple task that can really help your skin to prevent sunspots and future aging. Dairy products contain cow hormones that can stimulate your oil glands and lead to acne. If you haven’t tried cutting out dairy, that could be a major cause of your breakouts. Instead of dairy, reach for clean foods like vegetables to help your complexion. Meal delivery services like Splendid Spoon can make you look and feel healthier from the inside out! By having these meals on hand it’s even easier to make healthier food decisions all day. *You can click here to get $50 off your first order!! 4. Use a Roller to Help with Inflammation. Jade rollers have been all the rage on social media this year, but they are actually worth the hype. If you experience puffiness on your face, you can use a jade roller or ice roller to help combat this. I use mine both in the morning and at night to stimulate my collagen production and reduce inflammation. 5. Add Collagen into your Diet. Another buzz-worthy product that actually works! I add collagen peptides into my smoothies each morning and have seen healthier hair, skin, and nails since starting. Collagen is a protein that is actually a large component of our skin. It helps to strengthen skin, prevent wrinkles, increase elasticity, and reduce dryness. Collagen also has benefits for bone and joint health, so why not give it a try? Vital Protein’s collagen peptides are my fav to put in my smoothie each morning! They also have collagen coffee creamers if you’re into that. One of the worst things you can do for your skin is to workout with makeup on. When you start to sweat all of your makeup seeps into your pores, which can quickly clog them. Instead, try to remove all of your makeup and apply a hydrating toner to your face before you hit the gym. On the same topic, you should try to never go to bed with your makeup on and always remove it before going to sleep. 8. Exfoliate and Mask at Least Once a Week. Exfoliating is such an important part of any skincare routine. Not only does it help to remove dirt and oil, it also removes all of the dead skin from your face and allows it to breathe. I recommend exfoliating 2-3 times per week and follow it with a mask. Just like anything, masks are not one size fits all! There are masks made for every skin type and condition, so make sure you get one that suits YOU. Silk pillowcases have been shown to help with both skin and hair! Not only will it help reduce your bedhead, but silk pillowcases can also help reduce wrinkles, improve moisture, and are even hypoallergenic. Using a proper cleanser is only half of the battle when it comes to washing your face. In order to fully cleanse and exfoliate your skin, you might want to look to a cleansing device. My top choices are the Clarisonic and Foreo because they truly help to give you a deeper clean, but are still gentle on your skin. Starting a new year means its time for growth in your life. When better than now to start feeling better on the inside and out?! These 10 tips are sure to give you your healthiest skin yet in 2019. These are such great tips! I keep my jade roller in my cosmetics fridge so it’s nice and cool. I’m looking to invest in a great silk pillowcase this year! Thank you! I do too.. the best!! I definitely need to drink more water, and while I love my silk pillow case, it does nothing for my bedhead, lol. hahaha omg I know. My bedhead is a bit cray. Great tips! I’ve been meaning to switch to a silk pillowcase for ages, definitely getting on that this month! Great tips! Number 1 is essential. I haven’t tried tip number 4 in a while. So many amazing tips – thank you!!!! 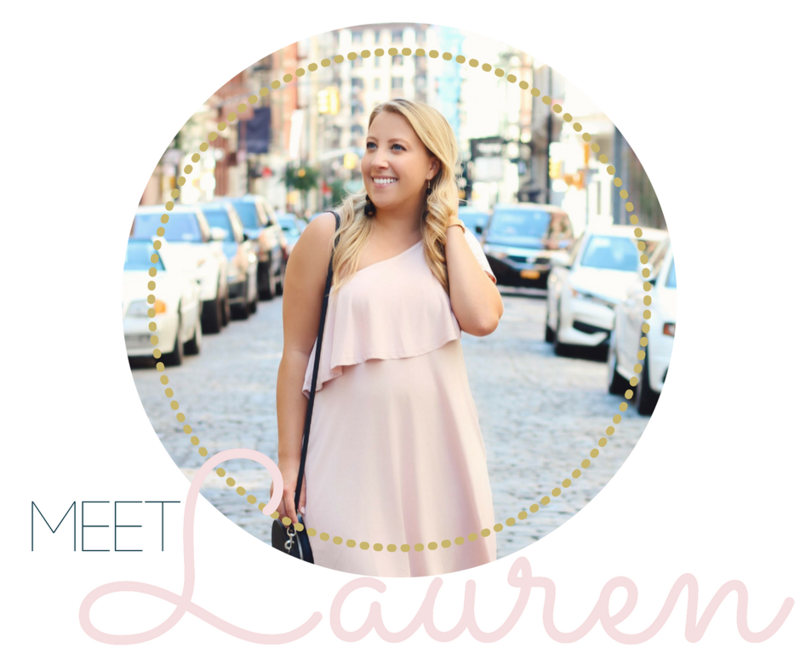 These are great tips, Lauren! I love my face roller, especially on my puffy feeling days. I always try and drink a lot of water. I really want a silk pillowcase!